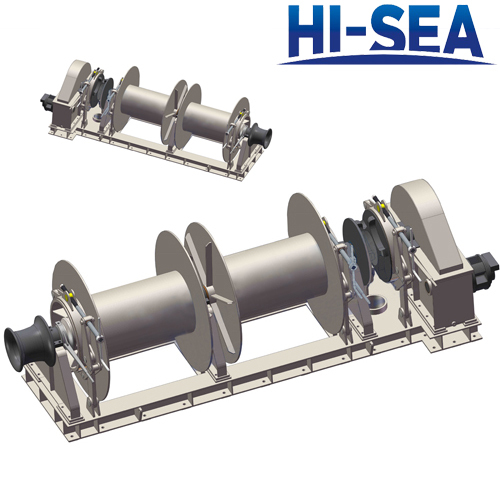 Whatever your anchor application, Hi-Sea Marine's line of anchor windlass offers a variety of styles and sizes to handle it. 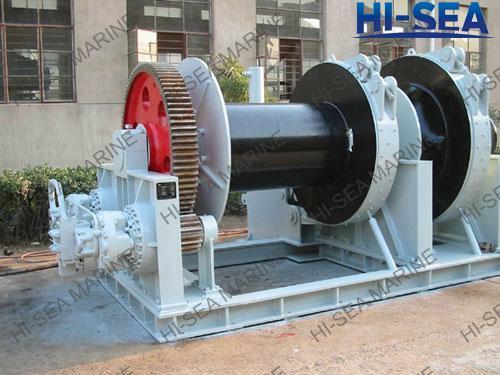 Our anchor windlass winches are designed for up to 160mm chain with a range of drive options available. 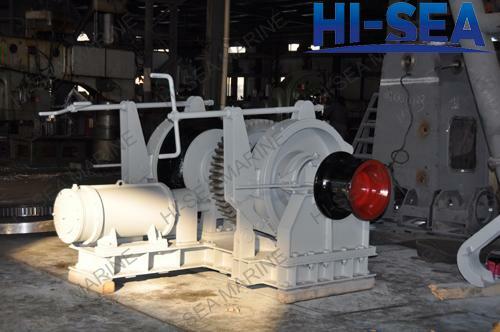 Standard features include fabricated steel construction, gears hardened to exceed working load requirements, cluthed and braked drum and corrosion resistance. 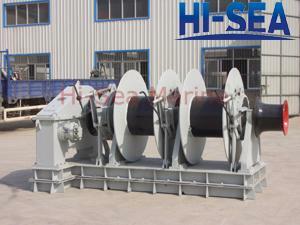 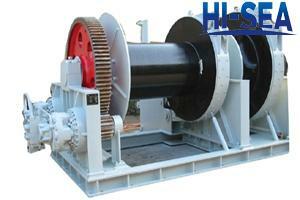 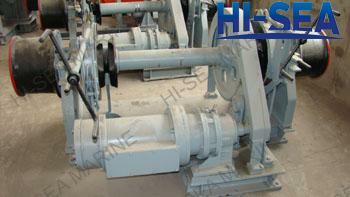 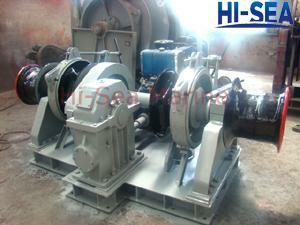 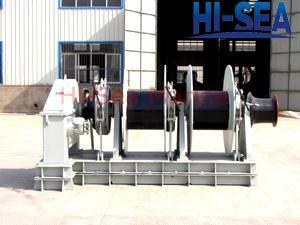 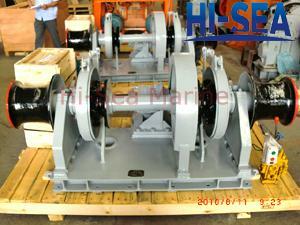 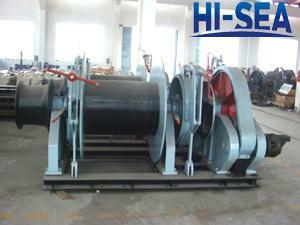 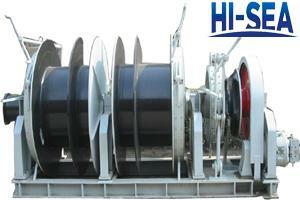 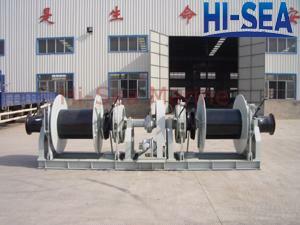 Electric or hydraulic drives are available along with warping heads. 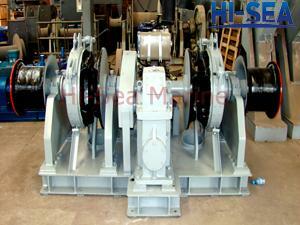 We can modify windlasses to suit your application and special operation requirements. 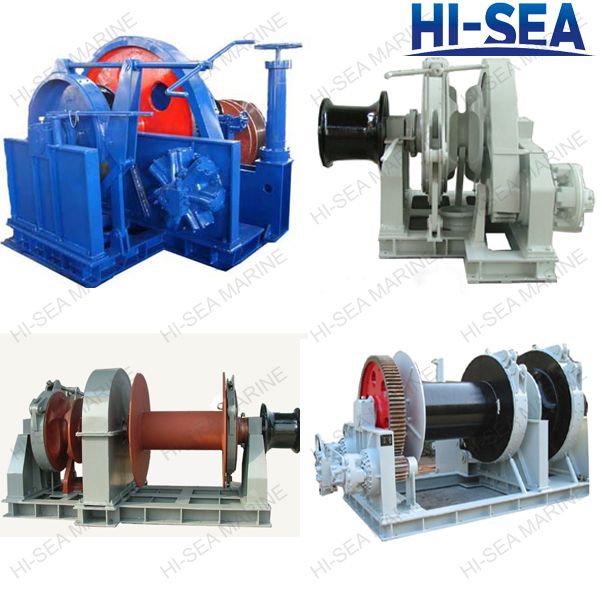 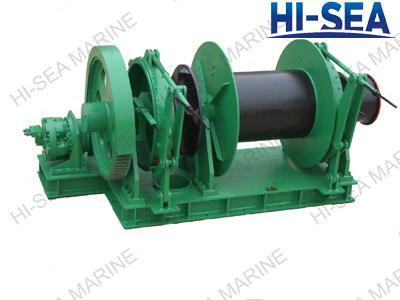 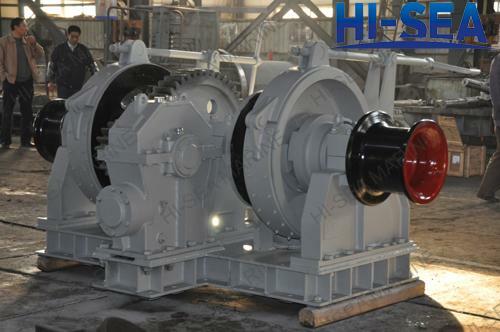 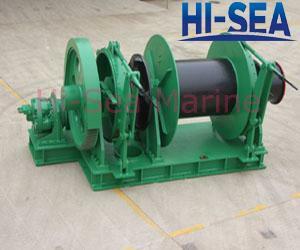 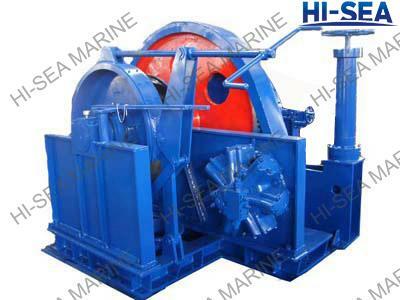 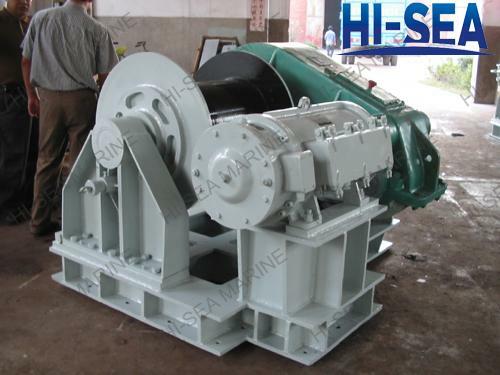 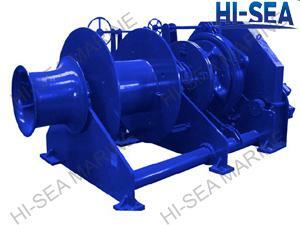 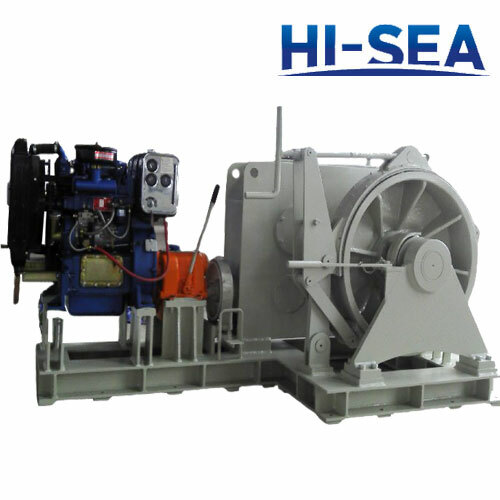 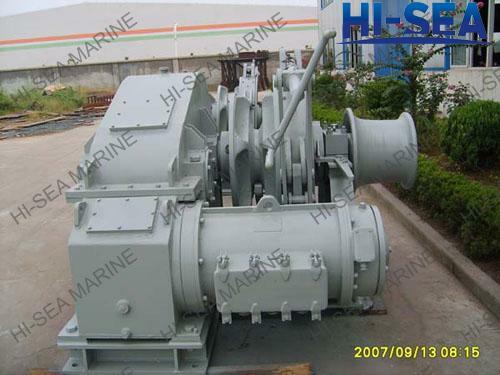 Hi-Sea Marine's anchor windlass winches have rugged design, heavy duty split bronze bearings and amply dimensioned brakes. 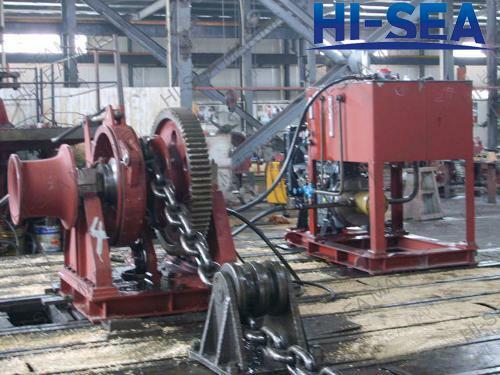 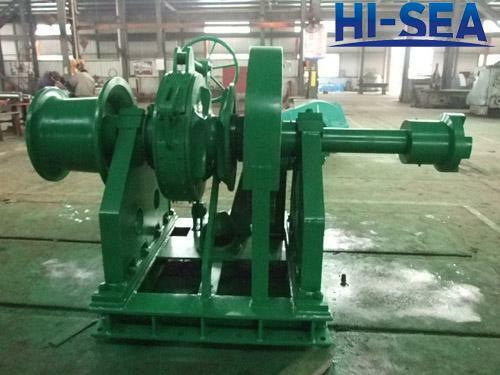 The operating mechanism for brake and cluthes are designed for easy and safe manual operating, but may also be remotely operating by hydraulic cylinders. 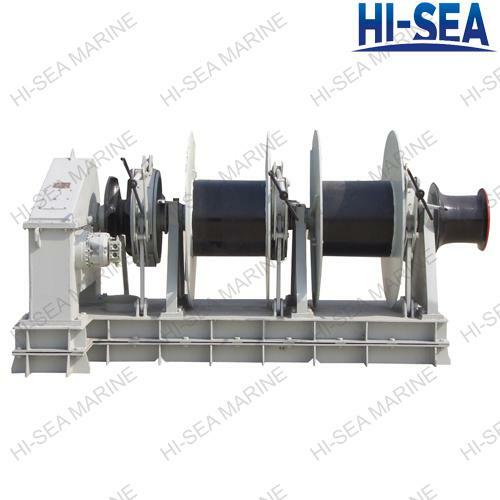 The brakes are easily adjustable, and all transfer of external forces to the deck construction is by the foundation bolts. 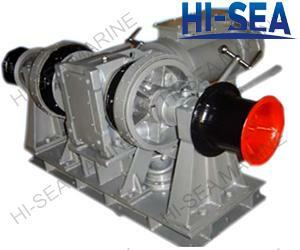 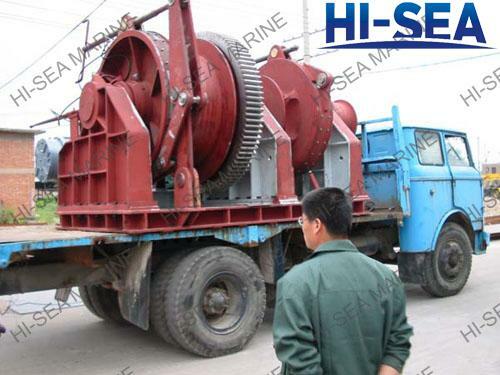 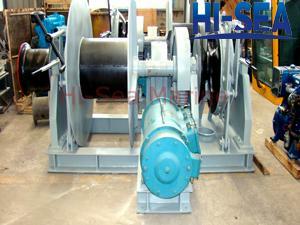 The winch design provides easy access to all points for lubrication and inspections.